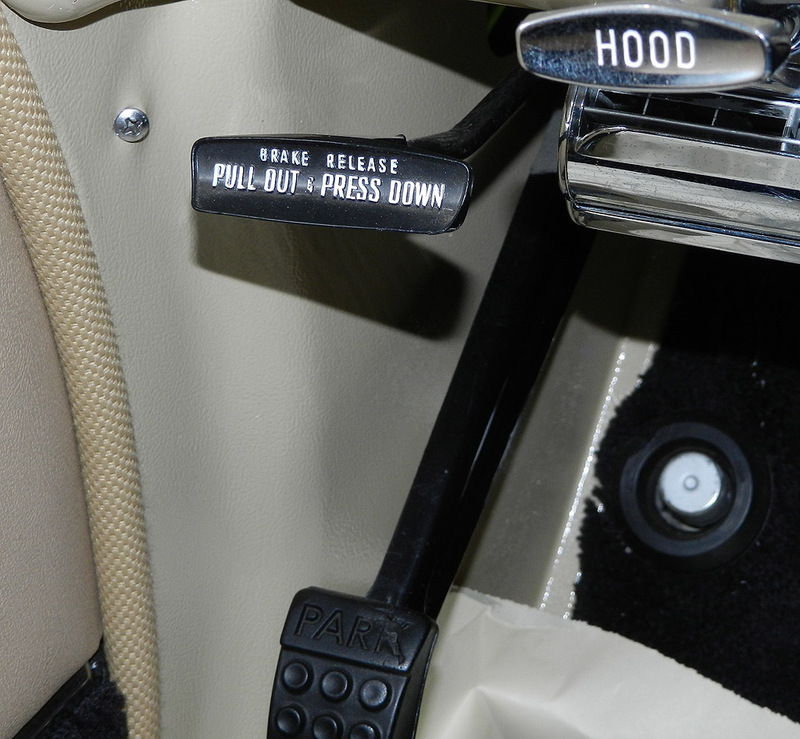 A simple push down on the handle will release the parking brake. 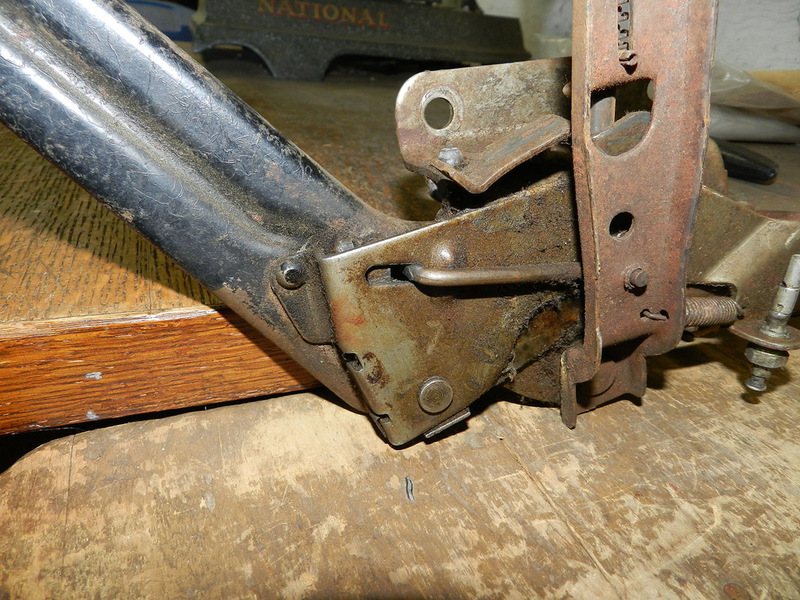 PULL OUT & PRESS DOWN Two actions are needed to release the brake. 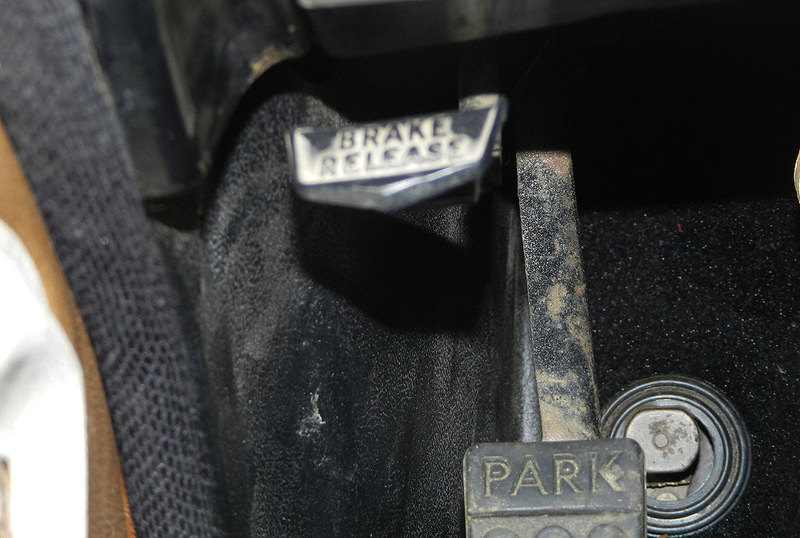 It may have been that with the first version, unintended brake releases occurred. There are also some minor differences in the internal links from the first and second versions. 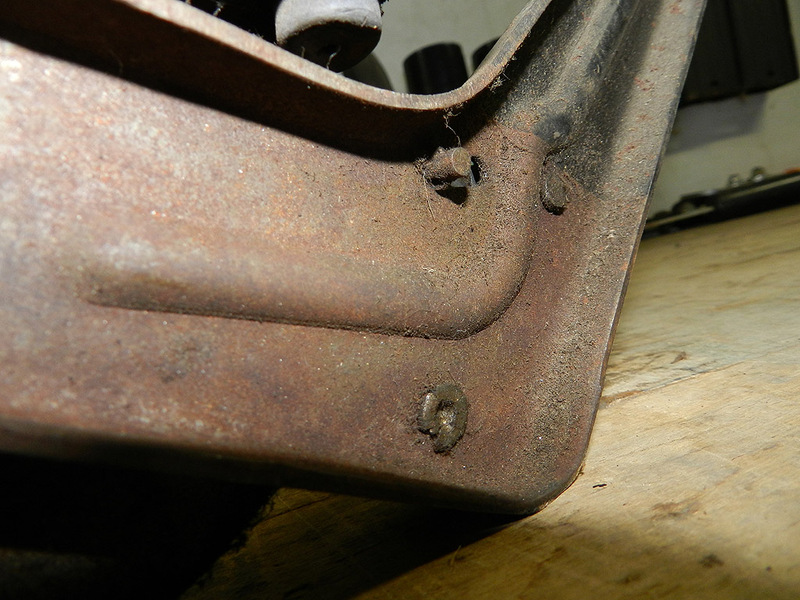 We noted the release link wanted to disengage on a first version brake release and a comparison to the second version showed the link now had an upset manufactured in it to prevent disengagement.